Mytton Fold Hotel and Golf Club. When you book me for your Wedding I think it is imperative that the Lighting is set tastefully for The Bride and Grooms First Dance as Husband and Wife. I will work together with your Wedding Photographer to make sure he or she is happy with the lighting. 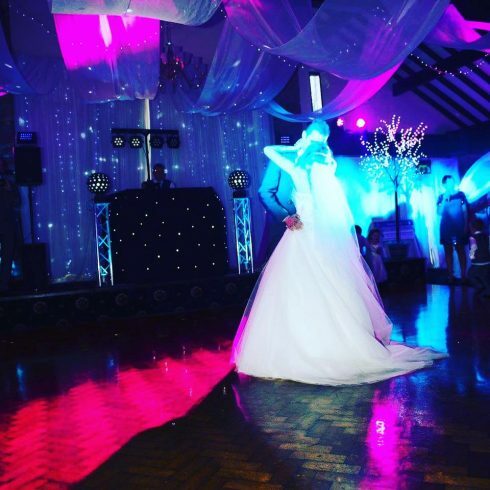 This is an example of how tasteful the Wedding Lighting can be, this was captured during the summer at Mytton Fold Hotel and Golf Club. Posted on November 14, 2016 This entry was posted in Blog.. Bookmark this post.